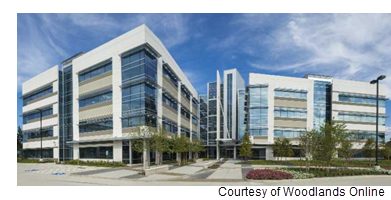 ​​​ THE WOODLANDS – Med-Data Inc. has leased 50,717 sf at Havenwood Office Park at 25700 I-45 North from Havenwood Land Developments. Situated on I-45 N. between Woodlands Pkwy. and Sawdust Rd., the four-story building offers roughly 250,000 sf of Class A office space. The tenant, a provider of technology-enabled health care services, was represented by CBRE. The J. Beard Real Estate Company represented the landlord. Amenities include an adjacent parking garage, covered walkways, fitness room, conference room, and outdoor plaza. ​Check out Houston-The Woodlands-Sugar Land Office Market Research.